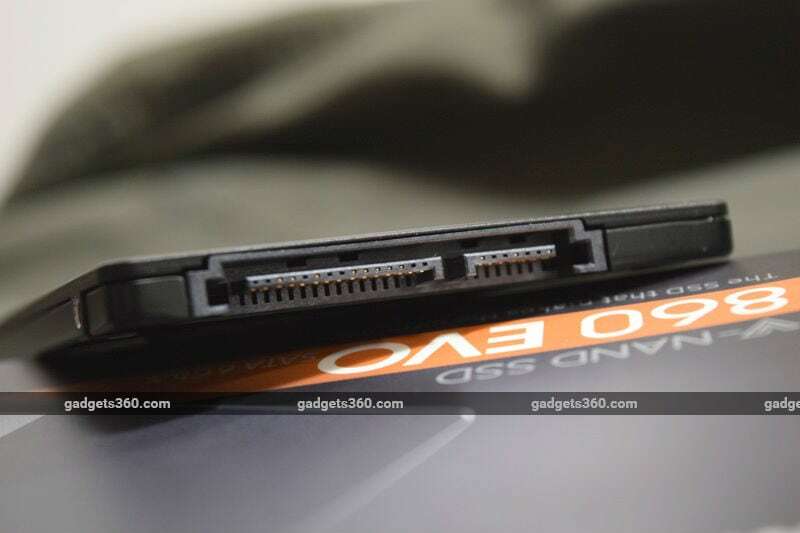 We've seen a variety of interesting SSDs pass through the Gadgets 360 lab over the past few months - most of them in the form of high-end PCIe or M.2 cards, some with heatsinks, and some promising incredible speed. That doesn't mean we've forgotten about mainstream SATA SSDs though. These serve the value end of the market and are becoming more affordable all the time. They're ideal for upgraders because they're much faster than spinning hard drives; enough to make most old PCs feel brand new. For those who value speed but don't necessarily need to live on the cutting edge, money can be put towards capacity instead. That's the audience that Samsung has in mind with its new SSD 860 Evo series, which replaces the much-loved SSD 850 Evo after just over three years. Samsung is by far the world's biggest supplier of SSDs and has the advantage of manufacturing its own NAND flash storage chips and controllers. In fact, Samsung calls itself the world leader in memory technology, and many other manufacturers - including its biggest competitors - use Samsung chips in their storage and memory products. We're eager to see how the company has leveraged all of that in its latest product. The SSD 860 Evo and its slightly superior counterpart, the SSD 860 Pro, are both SATA SSDs and are aimed at mainstream users. They're positioned below the enthusiast-class SSD 960 Evo and SSD 960 Pro, which are much faster NVMe drives. The most important new features with the SSD 860 siblings is that Samsung has now begun using 64-layer 3D flash chips, which it calls V-NAND (short for vertically stacked NAND). The previous SSD 850 models were launched with 32-layer V-NAND and then refreshed with 48-layer chips mid-life. The increased density allows for higher capacities, but not necessarily any performance gains. Samsung is offering the SSD 860 Evo in the standard 2.5-inch hard drive form factor as well as SATA M.2 modules and even mSATA modules, which are quite uncommon these days. This is great news for those looking to upgrade different types of desktops, laptops, and possibly even embedded PCs. The lowest capacity is 250GB, which shows that Samsung doesn't consider the 120-128GB market worth targeting anymore. Capacities scale up to a whopping 4TB for the 2.5-inch option, but the M.2 form factor only allows for up to 2TB, and mSATA tops out at 1TB. The type of flash used here is TLC NAND, which means that three bits are stored per cell. Each variant of the SSD 860 EVO has a different amount of LPDDR4 cache memory that scales up with capacity - our 1TB review unit has 1GB. Samsung uses its own controller called MJX, and the one in the new SSD 860 Evo is claimed to have improved algorithms for faster and more efficient operation. Sequential read and write speeds are claimed to be 550MBps and 520MBps respectively, which are pretty much in line with what other manufacturers claim, because this is roughly as far as the legacy SATA protocol can be pushed. Rather than speed, Samsung is hoping to stand out by quoting endurance figures starting at 150TBW for the 250GB variants going all the way up to 2,400TBW for the 4TB variant. TBW (Terabytes Written) describes the amount of data you can write to a drive before the flash chips begin to wear out. The warranty period is five years or until the TBW limit is reached; whichever is sooner. If you're concerned about data security, 256-bit hardware-based AES encryption is supported. Our 2.5-inch 1TB review unit arrived in a simple cardboard box with no accessories; not even screws or a shim for mounting in place of a thicker 2.5-inch hard drive. It weighs just 62g and has a light metal body with no particular design flair since it's going to be hidden away inside a PC anyway. Installing the 2.5-inch SSD 860 Evo is as simple as plugging in the SATA power and data cables. We were up and running in no time, and Windows 10 reported a formatted capacity of 931.39GB. Our test bench consisted of an AMD Ryzen 7 1800X processor, MSI X370 Xpower Gaming Titanium motherboard, 2x8GB of Corsair Vengeance LPX DDR4-3000 RAM, an AMD Radeon RX Vega 64 graphics card, a Kingston HyperX Savage SSD as the boot drive, and an Antec HCG-850M power supply. We started with CrystalDiskMark 6, and we got scores of 562.5MBps and 531MBps for sequential reads and writes respectively, using a saturated queue depth of 32. This reflects the ideal possible usage conditions, not necessarily how the drive will perform in day-to-day situations. Samsung's own SSD Magician software tool has a simplistic built-in benchmark and gave us nearly identical scores of 563MBps and 532MBps. Random reads and writes at a queue depth of 8 came to 397.9MBps and 369.4MBps respectively. Moving to the diagnostic testing tool SiSOFT Sandra, we saw some interesting results. In this set of benchmarks, both sequential and random speeds were reported as 530MBps, while both sequential and random writes came in at 503MBps. Random speeds usually dip well below sequential speeds, so this is an impressive result. This is overall a much better showing than the SATA WD Blue, which is another common choice in the mainstream SSD segment. Retail listings for SSDs usually have much lower prices than what manufacturers quote. While the official MRP for the 250GB model (regardless of form factor) is Rs. 8,760, the MOP for the 2.5-inch variant is closer to Rs. 6,150 while the M.2 version goes for around Rs. 7,000. The 2.5-inch 500GB and 1TB models are listed at around Rs. 11,000 and Rs. 22,500 respectively, with M.2 costing a little more in each case. Those are fantastic prices and are surprisingly right in line with current prices for each equivalent SSD 850 Evo model, making the choice a no-brainer. Anyone building or upgrading a PC should reserve some of their budget for an SSD, and Samsung is offering a compelling set of options at great prices here. WD Blue models at the same capacities currently sell for just a hair lower, but we'd choose the Samsung SSD 860 Evo for its higher performance and endurance. 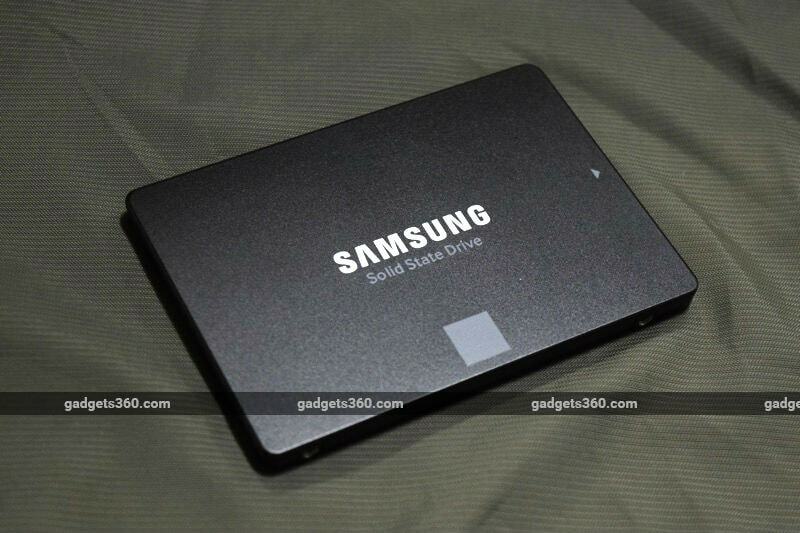 If you're willing to spend a bit more money, you could go for the Samsung SSD 860 Pro, which uses two-bit-per-cell MLC NAND and boasts of twice the endurance as the SSD 860 Evo at each capacity level. 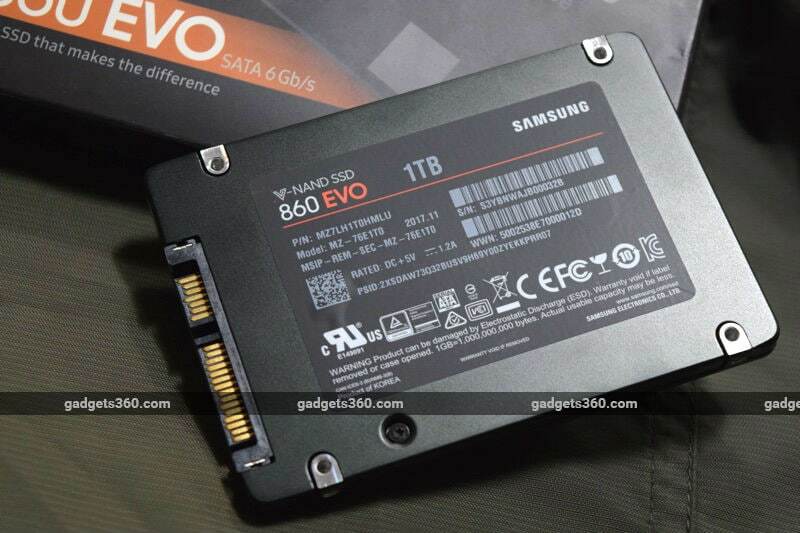 product Samsung SSD 860 Evo series of SSDs is a minor update to the SSD 850 Evo series, and offers solid performance at extremely attractive prices.